Cavendish Communications is a long-established technology company based in Newhaven (nr Brighton) and we are currently looking for a Trainee Sales Executive to join our successful team. 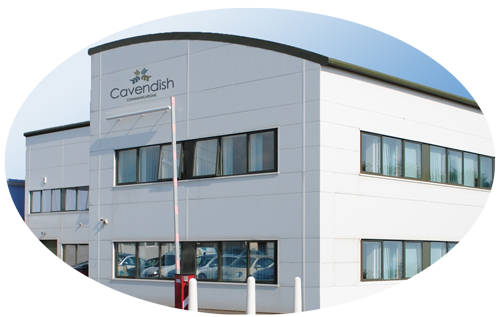 Cavendish is one of the largest independent communications providers in the South East. We have been successfully delivering Telecommunications and IT solutions to businesses in both the public and private sector since 1990. This experience means we can provide everything a business needs in terms of effective communications solutions, from Structured Cabling, Telephone Lines / Calls and Phone Systems, to Broadband, Data Networks and all mobile and Cloud Based Communications. The role involves working within our friendly team to generate business within our Cabling division which encompasses WiFi, CCTV, AV (Audio Visual) and Structured Cabling services. At Cavendish, we pride ourselves on our people. Testament to this is the many years of experience our staff have between them and the very low turnover we experience. Our team is vibrant and hard working within a friendly, supportive office environment that features the likes of dress down Fridays, various social events/work functions, employee awards, incentives, flexible holidays, healthcare scheme and company pension. We also encourage progression and the scope for career development at Cavendish is excellent, with 3 of our 4 current Departmental Managers having been promoted from within the company. If this sounds like the opportunity for you then apply now online or with your CV to our Sales Manager, Mark Hollands. Sorry we don’t have any vacancies at the moment but check back with us soon. Careers at Cavendish - Select from the tabs below for more details on current opportunities. Cavendish are looking for a new full time Sales Trainee to join their successful Sales team. If you’re an outgoing, dynamic person looking for an opportunity to get in to sales, then this position could be perfect for you. No sales experience is necessary as ALL training will be provided. Working hours for this role are Monday – Friday, 9-5.30pm (37.5hrs). Once qualified as a fully trained Sales Consultant, the package increases to £50k OTE plus a company car and benefits. A career in sales is both financially rewarding and enjoyable for the right individual, so if you fit the criteria above please get in touch and kick start your career with Cavendish. At Cavendish, we pride ourselves on our people. Testament to this is the many years of experience our staff have between them and the very low turnover we experience. Our team is vibrant and hard working within a friendly, supportive office environment that features the likes of dress down Fridays, various social events/work functions, employee of the month awards, cakes on birthdays and sales incentives to name but a few. This is our second year offering apprenticeships due to the success of last year’s candidates. Both apprentices have now completed their training and have progressed within the company, proving the standard of our training and development plan within Cavendish. Cavendish are looking for a new full time Sales Apprentice to join their successful Sales team. The role involves working within our friendly team to make outbound calls to prospective customers with the main aim of generating meetings and sales. Working closely with sales and marketing, you will be involved in a number of activities that include following up on e-mail marketing, calling clients from our database to book meetings, inviting potential clients to our events and confirming customer information. This is an integral role within the company with excellent earning potential and career progression for the right candidate. Even if you do not have experience in telesales, but you feel that you have the drive, motivation and skill to be a successful sales person we would like to hear from you. At Cavendish, we pride ourselves on our people. Testament to this is the many years of experience our staff have between them and the very low turnover we experience. Our team is vibrant and hard working within a friendly, supportive office environment that features the likes of dress down Fridays, various social events/work functions, employee of the month awards, cakes on birthdays and sales incentives to name but a few. If this sounds like the opportunity for you then apply now with your CV to our Sales Manager, Mark Hollands. This role would suit both full time and part time working depending on circumstances. We look forward to hearing from you.